"Open source software" refers to a software people can modify and share because it is publicly accessible. The software source code is free, but you need to host the open source software. "Source code" is the part of the software that most computer users don't ever see. It is the code computer programmers can modify to change how a piece of software—a "program" or "application"—works. Programmers who have access to a computer program's source code can improve that program by adding features to it or fixing parts that don't always work correctly. Putting this stuff together takes time - lots of it. From there, if the client intends to keep their site secure and current with patches and upgrades, you have added a lot more time to your project. Time is money, so this stuff does cost clients. Most of these features that SMB's (Small Medium Business) request which would take weeks to build out in Drupal, Joomla or Wordpress are available from the click of a button with Exai. Is open source software supported? Kind of. There is no central place to go to get solid, guaranteed support without paying (with Drupal, Acquia offers similar web ticket based support that you get with BC for $2,500 per year). Each module is supported by different players in the market with their own schedules and priorities. Small and medium businesses don’t have a lot of time, enough tech knowledge, so its a lot easier to just tell them to click in the top right corner of their admin panel and they can submit a support ticket directly. I am sure in many cases, the open source community approach to support works. However, in the “Post-installation” support forum on the Drupal.org website alone, there are 1,288 pages of unanswered forum questions and critical issues that users had. Since Drupal isn’t obligated to get back to those people because they aren’t earning any revenue from them (they are not Drupal’s customers, they are just free-users), and other forum users are also not obligated to get back to them because they also aren’t earning any revenue from them, then those people are left to sit and wait...and wait...and wait - or go somewhere else to find the answer - either another forum or into the Drupal developer market for paid support. Is it easy to find Drupal/Joomla/Wordpress developers? Yes. Open source developers are everywhere. However, the barrier to entry into the OS game is extremely low - its essentially time and a $3/month hosting account. This results in a lot of really bad website developers and a very small percentage that are actually worthwhile. If you have a couple of hours, you can probably read a few tutorials and get your website up and running, maybe even add a module or two if you have programmed a bit. Now you must be ready to go sell open source websites. This is why we get so many clients that hate those platforms. The company or person that developed the website did not have any experience. Now, just because BC has a $2k buy-in doesn’t guarantee all partners are great developers, but as you increase the amount you have to invest in a business direction, the more you have on the line to perform. Also, when your clients are paying you a month in and month out - you better provide them with great service. The OS developer can just shrug and say “Hey, it's free and you aren’t locked into using me" - creating the massive amounts of unhappy clients that exist in every market on open source solutions. I would pose to argue that less than 5% of those selling open source websites actually have any clue as to what they are doing with websites. They say 1 in 10 websites are powered by Drupal, Joomla, or WordPress. I would argue that 999 out of 1,000 of those websites are a complete waste of time. For further reading on the subject visit this Forbes article on "Open Source Software: The Hidden Cost of Free". 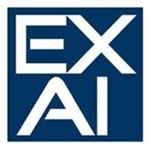 Exai is a simple CMS that provides an extremely cost-effective solution for people wanting to build websites. If you want more information on Exai's fully managed and maintained solutions for new and existing websites, Check out our features. You might want to hear directly from somebody of our team. Call us at +1-323-486-9885 (US) or +44-2033188581 (Europe), or fill the contact form below and we will get back to you in a day, or less! We will explain every single detail of the process.